This time of learning how to parent is crucial to the mother-infant relationship. Attachment Parenting helps mothers—whether breastfeeding or bottle feeding—view infant care in the context of the holistic parent-child relationship and learn how that give-and-take interaction that builds the foundation of secure attachment can be applied beyond feeding with love and respect. In this issue of Attached Family, we take a look at the “other side” of breastfeeding advocacy—championing compassion for the mother who encounters challenges in breastfeeding and who may not be able to breastfeed at all. API’s The Attached Family.com Editor Lisa Lord opens this issue with “When Breastfeeding Doesn’t Work,” followed by a look at “The Milk Bank Movement” by API writer Kathleen Mitchell-Askar, and an API presentation of API’s Parent Support Deserts project—each with accompanying parent stories (including that of Sara Jones Rust, who graces the cover, on page 9). Scattered throughout this double issue are parent stories, project highlights and additional resources from around and beyond API. 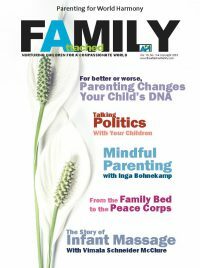 – See more at: http://www.attachmentparenting.org/attachedfamilymagazine/breastfeeding2014.